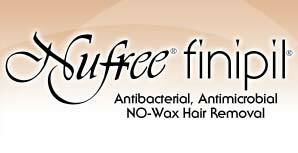 Nufree® Nudesse, the botanical method of liquid hair removal. It is natural, self preserving antibacterial, antimicrobial, non-wax, and contains no sugar or honey. Estheticians and dermatologists have stood by this professional product for over 30 years. In 1984 Normajean founded Equibal Labs, inspired by the childhood influence of her nature-loving grandfather. Equibal Labs produces a professional line of total beauty treatments that have become the standard for salons and spas around the world. Now Normajean is making her elite line of spa and salon tested natural beauty products available right in your own home. The face behind Nufree Nudesse finipil is Normajean Fusco, a Renaissance woman with a modern day twist. Normajean’s lifelong interest in chemistry began at the knee of her grandfather, Dr. Zenon Anthon Einik, a homeopathic physician and herbalist who formulated remedies and beauty creams in his lab with plants harvested from his own garden. This early interest was the inspiration for Equibal Labs, which Normajean founded in 1984 to deliver high caliber non-wax, soy based depilatories and facial and anti-cellulite products that became the standard for spas and salons around the world. Thirty years as an aesthetician gave Normajean experience in all aspects of the beauty business, first as a buyer for department stores in fragrances and cosmetics, then as a consultant to major cosmetic companies such as Revlon, Coty and Germaine Monteil. After spending several years in Europe studying and teaching, she was among the pioneers who brought the European skincare and total beauty treatment approach to discerning women in America, incorporated into the concept of the day spa. When Normajean isn’t busy creating in her lab or teaching the latest skin care techniques across the country, she can usually be found outdoors, riding her horses or painting some of the breathtaking landscapes that surround her home and factory in the Hudson Valley of New York.